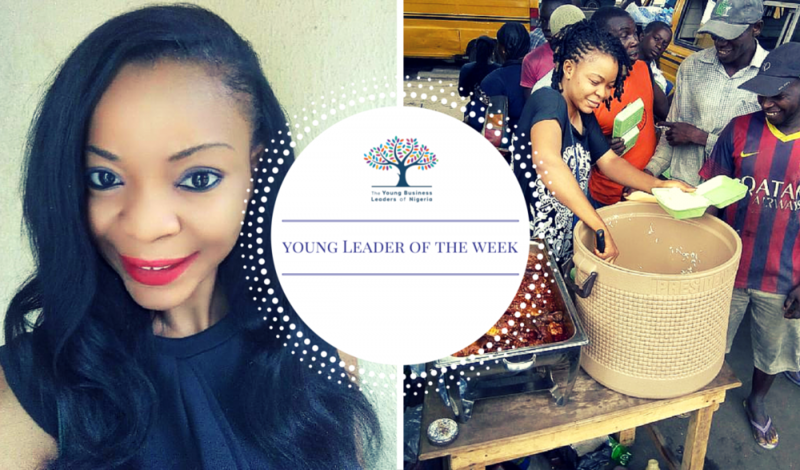 Olashile Abayomi is a remarkable young entrepreneur who has maximised the endless opportunities available on social media to promote her business. She is the founder of Soup-a-Market, a new catering and delivery service established in June 2014. Olashile is a graduate of Political science, who later went on to study Oil & Gas at the University of Ado-Ekiti. However, cooking has always been a part of Olashile's life. She started from cooking for friends back in her university days to making it a business and cooking for clients across the country today. Being the youngest child in her family, as is customary in many Nigerian households, she was generally always the one charged with cooking for herself and her family. Olashile says that at the time she often felt as though it was a form of punishment, but now, cooking has become a part of her and she has been a guest on several cooking shows thrilling viewers with wonderful cooking skills. Apart from being an online savvy entrepreneur, Olashile is also known for her benevolence which she manifests through the selfless act of serving underprivileged people under the bridges in Lagos, an act which she claims was inspired by God. We arranged a twitter chat with this promising young entrepreneur via her twitter account @FireofFola where she shared her dreams, vision, the story behind her business journey and many more with us. Click the link below to read excerpts from our tweet chat with her.